The Rover has finally hit Malaysian cinemas today! Check out your local cinema listings and at CinemaOnline. For GSC, there's always their mobile app. In a dangerous near future in the Australian desert, Eric (Pearce) has left everything behind, but when his last possession is stolen by a gang of dangerous criminals, Eric sets off on a hunt to find them. 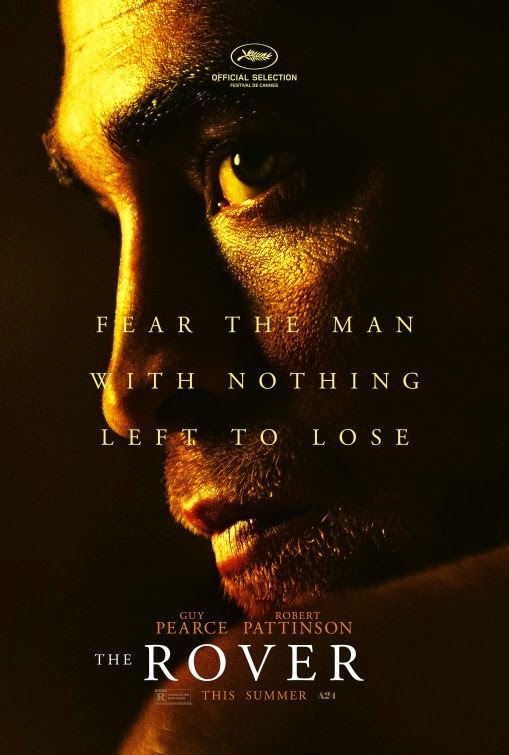 Along the journey he enlists the help of Rey (Pattinson), the naïve and injured member of the gang, who was left behind. Starring Guy Pearce and Rob Pattinson, the film is directed by David Michod. It's rated 18. Here's an interview with Philip Berk, which appears in The Star today! You shot The Rover in Australia. How’s it like roughing it out for a change? I liked Australia. I had only been to Sydney just to do press before. Working in the Outback was a totally different world, but I loved it out there. It was beautiful, kind of serene being able to see the horizon. There’s just absolutely nothing for miles, hundreds of miles. Not only were there no people trying to find you, there was no one there at all so it was much easier to concentrate on your performance and not have to worry about someone trying to sneak up on you. I found it incredibly peaceful and relaxing. What was it like working with David Michod and Guy Pearce? I had done the audition with David a long time before we started shooting. We went through tons of different incarnations of my character. There was one point where I wanted to have the tops of my ears snipped off because I had seen pictures of thieves in the Wild West and they used to do that to thieves. We talked for months before, so I was pretty comfortable. And then when Guy came on – I only met him about a week before we started shooting – I got on with him really well. He’s the type of actor who doesn’t have any acting crutches to fall back on. He creates something new every time, and it allows for anxiety, something I’m familiar with, so we were like equals when we were performing. Welcome to Robert Pattinson Malaysia, the only Malaysian fansite which is dedicated to British actor and musician Rob Pattinson, the star of Twilight, Little Ashes, and How to Be. Any info, drop me an email at: twilightfanms@gmail.com. Feedback is much appreciated. Thanks for stopping by! Est. Apr 2009. This blog-fansite is 100% unofficial. I do not have any connection or affiliation with Rob Pattinson, his management, or any of his people.No copyright infringement intended. All materials, photos, and articles posted here belong to its rightful owners. If you wish for any materials here to be removed, please notify me. Thank you.